Trial Legends 2 HD - is back with another simple yet addictive mobile game with the visual breakthroughs of the next generation of gaming. 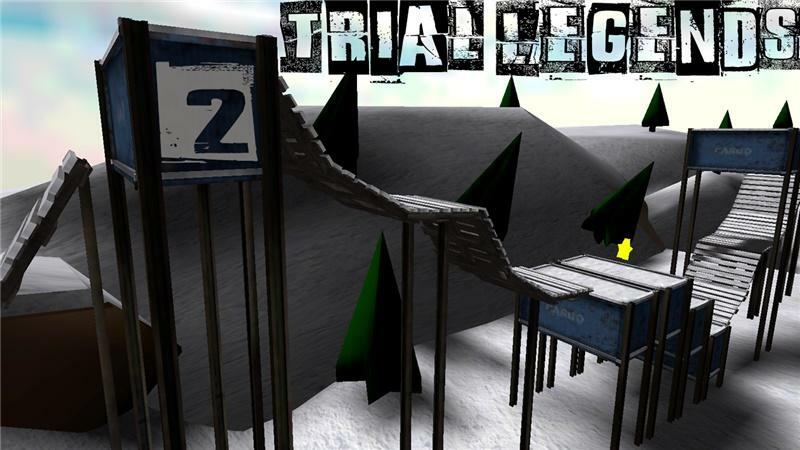 A 3D Motorcycle Game based on X trial Bikes Sports This time take on the snow and ice! Try to get your way through these amazing levels, careful on those pipelines, the crazy loops and ramps that allow you to back flip or front flip or even the barrels that aren't easy to get trough. This is not a game you can win just by pressing accelerate, keep the balance of you bike by pressing back and forward or you wont make it. :) Developed and published by mega8games and tiago serra. - Advanced Physics based virtual reality . - High resolution graphics for phones and tablets.